Fifteen years ago, the home care industry was in trouble. Due to government hurdles, home care providers were denied access to Medicare for reimbursement, which greatly narrowed the number of elderly patients they could take on. In the early 2000’s, this all changed. Congress passed a bill allowing for home care providers to charge Medicare for their services. Within a short time, the home care industry rebounded. But no one stopped to rethink home care’s model. Fast forward to 2016 and all projections indicate that home care is poised to be among the fastest growing industries in the United States. It makes sense why seniors and their closest of kin would want to choose home care: it’s more affordable than a retirement home and seniors can stay home rather than uproot to a new facility. Yet the industry’s growth is not without challenges. 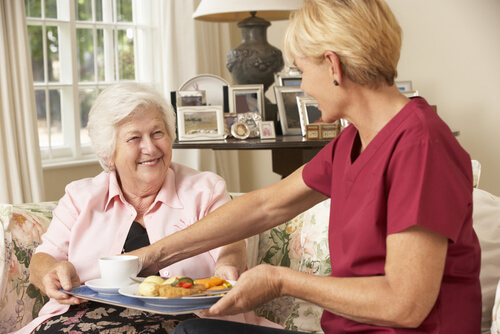 Home Care’s challenges begin with the distinction made between home care and home health. Basic home care, also known as private-duty, is a type of service classified by the Department of Labor as a “companionship service”. Under this classification, private-duty home care companies are exempt from federal overtime and minimum wage rules. 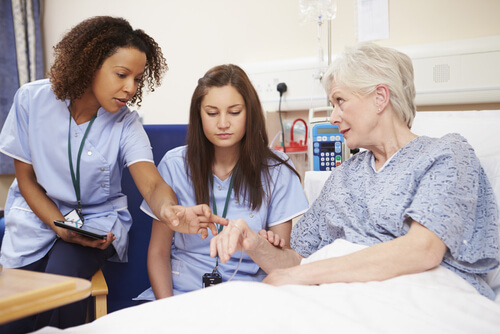 In contrast, home health care is provided by certified medical workers. Their services can be charged to Medicare. The problem with this distinction as made by the federal government is that there is no consistency among the states on that same distinction. Some states recognize the difference between the two, while other states lump both under the term “in-home care”. There are, therefore, blurred lines when it comes to caregiver benefits and compensation in both circumstances. With a recent increase in competition, home care companies have been forced to remain competitively priced. Since most of their overhead comes from payroll, one of the most prominent grievances toward the industry as a whole is its propensity to underpay care workers who, after all, work in a privileged position. The prevalence of the issue of caregiver compensation in the media is not assuaging fears. From Boston to Chicago to Los Angeles, more and more coverage of how much caregivers are struggling to make a living is raising questions over the viability of the industry moving forward. The problem has existed for some time, but is now receiving national attention. On top of the struggle of care workers to make a living wage, the home care industry is confronting cuts to Medicare that may deeply affect their bottom line. While business owners will be hurting, so too will their caregivers. Cuts to Medicare could deeply affect the industry’s long term growth, although those cuts are not yet set in stone. To remedy the issue of low wages for caregivers, a few companies have sprung up who offer to help consumers find a caregiver who is an independent contractor. Companies like homecare.com are attempting to “Überize” the industry by listing private contractors and sorting them by price and a ratings system. The argument for these types of services is that by cutting out the home care provider, the caregiver makes more, and the patient pays less. The goal is to offer a convenient service that takes the guess work out of finding a care provider. As we discussed in our article titled How Will Überization Affect Home Care?, these systems, although successful, have failed to redefine the industry. 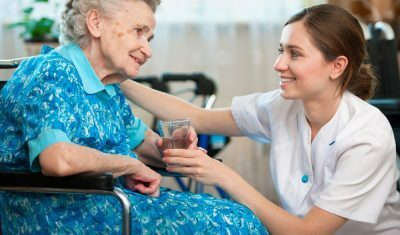 One of the core problems with Uberizing home care is that it takes advantage of the companionship service classification from the Department of Labor, which allows caregivers to operate without any formal training or licensing. These caregivers cannot charge Medicare for reimbursement, and are therefore exclusively private-duty. Going back to the home care industry’s rebound, it is a fast growing industry precisely due to its ability to work with Medicare. Another alternative in the market is carelinx.com who have taken a different approach to connecting patients and providers. All of their caregivers are kept on as employees, and their website vets patients thoroughly in order make sure they find the right caregiver. Carelinx itself acts as the licensed home care provider, but they save tremendous amounts of money on overhead because they do not have physical locations in their areas of service. Instead, their internal system connects them to their caregivers. The result is a system that acts like a home care provider, but saves money to the consumer and pays out more to their caregivers. The only drawback, of course, is that this service is exclusively private-duty. We do, however, commend them on their drive to rethink home care. We at 1800homecare.com believe it is time to rethink home care. 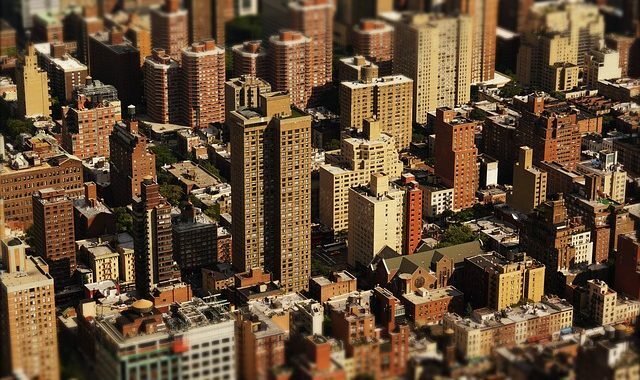 It is unrealistic to think that traditional providers will be upended by an Über-like app. Instead, the home care industry needs a solution that molds together the traditional model of care with an enhanced model for the digital age. What is the solution? We think a happy medium will emerge, one that makes use of both modern technology and the current wealth of providers nationwide to be able to address the needs of both private-duty and home health patients. Up to now, the best hope for this is carelinx.com, but what is needed is a way to also find home health providers for patients who require in-home health care services. Don’t forget to also check out our affiliate to find hospice care. 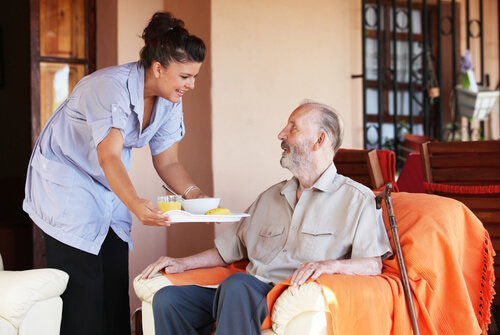 previous post: What’s the Difference Between Home Care and Home Health Care?